All About Vacations & Honeymoons in Springfield, MO specialize in the creation of custom, unique experiences for each couple. We offer personalized, one-on-one trip planning and will tailor your honeymoon, destination wedding or other special event so that it will be the memorable, once in a lifetime experience you envision. Let Theresa Masterson share her knowledge and expertise in planning your big day. She will remove any stress and answer every question you may have. Take comfort in the fact that everything will be as close to perfect as possible for your honeymoon and destination wedding. All About Vacations & Honeymoons will work with you to provide a romantic experience catered specifically to each of you and your personalities. We do this by providing our in depth destination knowledge, a variety of online tools to make your trip unique and affordable, and by negotiating with our contacts to get you the best experience at the best price. This is done at NO additional cost to you because we are compensated by our travel suppliers. 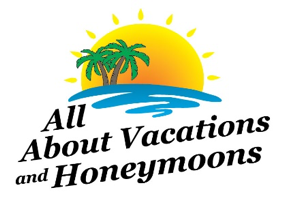 All About Vacations & Honeymoons is the premiere travel specialist of The Wedding Collection, Springfield, MO best wedding store. The Wedding Collection is a group of professional dedicated to making your wedding day a complete success! Perfection via professionalism and creativity ensures that your wedding will go off without a hitch. Every vendor at The Wedding Collection works diligently to make sure we are the best wedding shop in Springfield, MO.